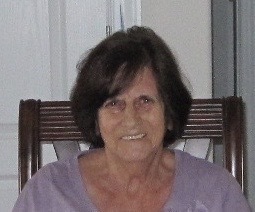 Rita E. Vella Williams, 75, of Concord, NC formerly of Ronkonkoma, NY passed away Thursday, April 4, 2019 surrounded by her family. Rita was born October 20, 1943 in Far Rockaway, NY to the late John Vella and the late Anna Resetar Vella. She was also preceded in death by her sister Christine Olexa. Survivors include her husband of 54 years, Bob Williams of Concord, NC; daughter, Kim Cestare and husband Michael; daughter, Dawn Miller; son Robert Williams; and grandchildren Nicole, Michael, Miranda, Jackie, Garrett, Logan and Brady. The family will receive friends from 6:00 pm - 8:00 pm, Saturday, April 6, 2019 at Hartsell Funeral Home of Concord. The family will also receive friends on Sunday, April 14, 2019 at Forrester Maher Funeral Home, 998 Portion Road, Ronkonkoma, NY from 2:00 pm to 4:00 pm and from 7:00 pm to 9:00 pm. A Funeral Mass will be held on Monday, April 15, 2019 at 10 am at St. Joseph's RC Church, in Ronkonkoma, NY. Burial will follow at the Calverton National Cemetery in Calverton, NY. Memorials may be made to St. Jude Children's Hospital or the National Kidney Foundation. Hartsell Funeral Home of Concord is serving the Williams family.